Having been in the music industry for more than 10 years, pop punk trio Bunkface is considered one of the most successful and stable local bands there are in Malaysia with their strong reputation, large fan base, and various awards and recognitions. 2016 seems to be a great year for the band as they have recently signed to major music label Universal Music Malaysia, they got nominated in the prestigious MTV EMAs Best Southeast Asian act, and they will soon hold a large-scale concert to mark their 10th year anniversary. 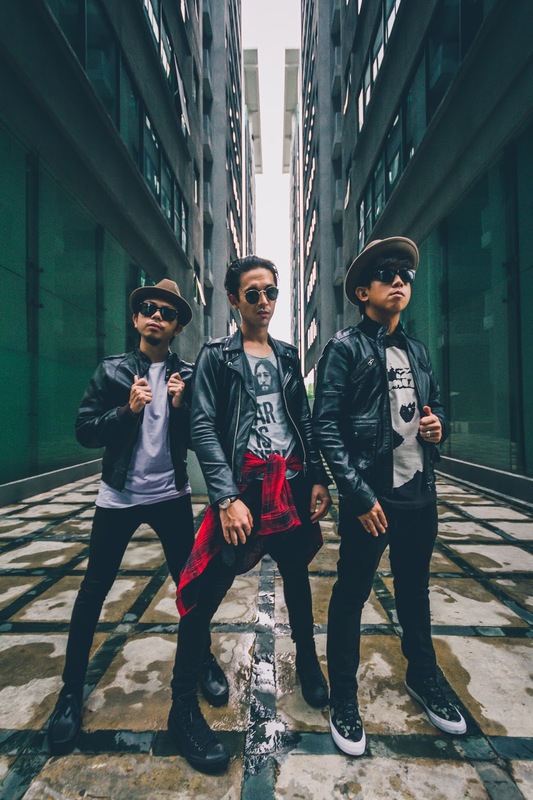 Made up of lead vocalist and rhythm guitarist Sam (Shamsul Anuar), bass guitarist Youk (Farouk Jaafar), and lead guitarist Paan (Ahmad Farhan), the three amigos have been together since Bunkface first started in 2006. Since then, the band has released tons of popular local hits like “Silly Lily”, “Situasi”, “Revolusi”, “Prom Queen”, “Through My Window”, “Malam Ini Kita Punya”, “Darah Muda” and “Masih Di Sini”. Bunkface has so far released one English EP “Lesson of the Season”, and three albums; “Phobia Phoney”, “Bunk Not Dead”, and “Malam ini Kita Punya”. This year, the band has certainly hit a whole new milestone as they will also release a special compilation album titled “Bunkface X” (with X, stands for the Roman numeral 10) featuring all the famous tracks from the band’s past albums, and will be released by end of this year. At the recent press conference of “Bunkface X Live in Kuala Lumpur”, the band members visit the past and tell us about their 10-year journey in the music industry as well as their upcoming plans for the future. How do you feel about your progress over the years? Sam: To be honest, ten years is quite long, so it felt great! We started off with reality competition “Blast Off” in 2006, which we lost. But even though we lost, I think the people from Astro kind of like our songs, so we signed a deal with them and release our first single “Silly Lily”. Our journey as a band kind of started from there, we started to get more and more attention, and people began to call us for shows. Basically our journey is just like any other band; we play at shows, festivals, and then decided to go mainstream – it’s pretty much the same, but we have a really great time throughout the journey and we never look back. Do you think the sound of your music has changed a lot within these 10 years? Sam: It doesn’t really change that much but maybe the instrumentation is a bit different because we’re getting older, so the style may be a little bit more mature. But our lyrical style is still the same. How do you feel getting nominated in MTV EMAs and do you have confidence to win this category? Paan: We will be competing against some of the best in Southeast Asia like Yuna, Raisa from Indonesia, Thaitanium from Thailand and more. But it’s okay because we have Bunkers who vote for us every single day and we feel assured with them at our back! Youk: InsyaAllah, with Bunkers supporting us, we feel confident all the time! Sam: Nevertheless, we are already grateful that our name is on that list even if we didn’t win. You’ve just recently signed under Universal Music Malaysia, how did that happen and why now did you decide to join a major label? Sam: Actually, we’ve previously signed to Sony Music before. But I guess we decided to join Universal Music because we trust the team that they have now, so we’re confident to join them. Youk: It’s not that we don’t trust the team they have previously, but it’s just wasn’t satisfying. Are you worried that your music will be controlled by Universal Music? Youk: Bunkface has been around for 10 years, we’re no longer new. So we already know what music we want to play and deliver, so there’s no use of them controlling us because we’re not a fresh band. Maybe the label will push us more towards collaboration with other artistes. After officially signing to Universal Music Malaysia, what are some of the plans that Bunkface will do in the future? Sam: This time around, with Universal Music to support us, we are trying to make our music more global by securing an international producer so that our music will have a slightly different vibes. That’s one of our aims, we are currently looking on this and hopefully it will happen really soon. Are you planning on continuing your 10-year celebration outside of Malaysia, like in Brunei, Indonesia, Singapore and Hong Kong? Sam: Of course we would love to, but before we go out of Malaysia, we plan on having another concert in Sabah or Sarawak first. Bands usually have drummers, but not Bunkface. Why is that? Sam: Yes we are, that’s why we can stay together for 10 years. Youk: We’ve been friends for 10 years, so we’re already used to each other. So if we take in a new member it would be awkward because he might not be used to the way we do things or he may easily get offended by us, so we think it’s best if it just the three of us. Bunkface has indeed been maturing for the past few years. But are you guys still maintaining your punk rock genre or do you think that your genre has changed? Sam: From the beginning, we never claimed that we’re a punk rock band, we’re just a band. For us, Bunkface is already a genre itself. So whatever we do, we will always be Bunkface because I will always be the one singing for the band, and I will always sing with my own style. There will be some changes in terms of less drum sounds, or slower music pace, but basically the element is still there. We will mix and match, and we’re not going to stick to the same style. For the sake of the newer generation, we need to change our sound according to the trend. Youk: The era is changing, so sometimes we need to change according to times and needs. Maybe our music sounds different back then because we follow the trend back then, but now the music is different, so we need to change it too so that we would be relevant. Sam: So if you’re asking whether we have changed musically? Yes, we have, but in a good way. We need to think of the coming generation, we can’t keep playing to the people from our generation, it would be unfair for the newer generations. For MTV, you are competing against some of the greatest artistes in Southeast Asia including Yuna what are the chances of Bunkface emerging as the Best Act in the category? Sam: Seems a bit impossible, isn’t it? [laugh] Because the award uses the voting system, it goes back to our fans, Bunkers. So if our fans are strong enough and vote for us every day, then we definitely can win – it’s as simple as that. Lastly, who do you think is your biggest competitor in MT V EMAs Best Southeast Asia act category? Sam: All of them are big! We’re actually the smallest. [laugh] We’re already grateful that we’re nominated. To be honest, we don’t even think that we have the chance to win. If we win, we would wonder why, but we will still be grateful. We’re competing against Yuna, Thaitanium, Raisa – all of these are huge names, we’re very honoured to be listed along with them in that category!